Coming to PC, PlayStation 4, and Xbox One in North America on November 17, 2015 and in the UK on November 20, 2015. Xbox One’s EA Access members will be able to play game 5 days early than anyone else. 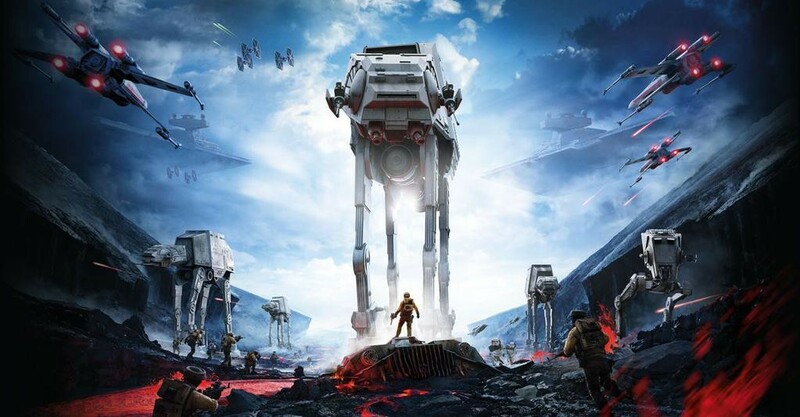 Does anyone else feel Like the new starwars battlefront will be a huge disappointment? Can evolve be played via a LAN party offline? Aw damn, I’ll be busy during the reveal. I wanna see it so bad!!! I’ve been eagerly awaiting news of this. I loved the old Battlefronts. And don’t you dare tell me I don’t know Star Wars Brandini! That was one time and I was sleepy! But the last scene from the new trailer…Hype! I haven’t been this excited for a game sense evolve . And it’s more like a year and two months. Yesssssss, it’s been to long. I haven’t been this excited for a game since Evolve was revealed, so 1 year 2 months for me. Thought he meant that. I’m excited, I loved the old games. Basically it’s just going to be Battefield with Star Wars assets right? Well yeah, I meant more from a technical standpoint. The engine, layout, loadouts, vehicle combat, classes, etc. I’m expecting it to literally be battlefield remade to look like Star Wars, granted I’m okay with this because I like Battlefield. Trying not to get my hopes up so they don’t get crushed.